With the industry turning around, Western Forest Products’ Mid Island operation on Vancouver Island has been rebuilding its logging equipment fleet. They looked at their equipment line-up and what they needed to replace, from a strategic point of view—and decided that two Cat 568 FM machines from Cat dealer Finning would fit the bill nicely. (Photo by Paul MacDonald). A new initiative to make B.C. coastal harvesting operations safer has been launched, and has the attention of the CEO’s of the major companies operating on the Coast. With strategic investments of capital, B.C.’s Downie Timber is utilizing technology throughout the sawmill to best utilize their timber, upping lumber production in the process. Ponsse recently put on a tour of its facilities in Finland—including a demo of its brand new Scorpion harvester, which will soon be hitting North America—and Logging and Sawmilling Journal has the full report on this new concept harvester. Canfor is taking a pro-active approach to tackling sawdust management in its facilities, a move that included completing a series of intensive facility risk assessments. The goal is simple: the company wants to do better at dust management. Included in The Edge, Canada’s leading publication on research in the forest industry, are stories from the Canadian Wood Fibre Centre, Alberta Innovates - Bio Solutions, Alberta Agriculture and Rural Development and FPInnovations. B.C.’s Lizzie Bay Logging adeptly shifted gears into doing more construction work during the downturn, and with the recovery in the forest industry, is now shifting gears to build up its logging side, adding equipment and people. Now that the industry is getting back to normal, Western Forest Products’ Mid Island Forest Operations is building its equipment fleet back up to improve log production, and has found two Caterpillar 568 FM loaders to be very welcome additions. B.C.’s Structurlam Products is expanding its presence in the Cross-Laminated Timber market, with new equipment that will help it to better service, and grow, the CLT market into areas such as wooden high rise buildings. Attendees to the upcoming 2014 Modular and Off-Site Construction Summit slated for Edmonton from May 12-14 can expect the same high quality of presenters and technology transfer potential as when the inaugural—and highly successful—2012 Summit was held. It is being organized by a committee involved in research work supervised by the NSERC Industrial Research Chair in the Industrialization of Building Construction at the University of Alberta, which receives financial support from Alberta Innovates Bio Solutions (AI Bio). The summit is also being supported and sponsored by AI Bio. Dr. Mohamed Al-Hussein, head of the organizing committee and Industrial Research Chair, says the summit will bring together individuals from the modular and off-site construction supply chain, such as institutional and commercial building developers, representatives from modular building companies, engineers, designers, and material suppliers to learn about the latest trends and technology in this building sector and to discuss common issues. “Attendance at the 2012 summit exceeded our expectations by as much as three-fold in every category,” says Dr. Al-Hussein. “And we noticed a good quality of attendees all the way up to senior company management.” He adds that the upcoming summit will provide the type of information the players in this area of construction are looking for related to land development, wood product use, current building technology, and potential use of modular and off-site construction in industrial, commercial and residential applications. The summit will feature presenters giving many updates from the research program managed by the Industrial Research Chair, which is in the third year of a five year program. Several of these projects are taking place with participation from industrial partners as well as the Network for Engineered Wood-based Building Systems (NEWBuildS), which also receives financial support from AI Bio. Dr. Al-Hussein says his research program is driven largely by the industrial and institutional partners that support the chair, aimed at both the supply chain and building innovation regarding modular and off-site construction. It revolves around nine pillars, including the development of a Building Information Modeling (BIM)-based planning process to minimize re-work and material and process waste. Regarding the BIM-based planning process, a research project called Design and Fabrication Production Efficiency Improvement is helping to facilitate the model’s rollout to industry. The project seeks to improve the production process from design to manufacturing at a local housing manufacturing plant. In the first phase, the existing design practice was transferred from 2-D to a BIM platform, which can produce design drawings, framing details, production drawings, permit sets, and material quantity take-offs for cost estimation and material ordering. In the second research phase, the fabrication process of a number of modules will be evaluated to determine the production time, resource requirements, and productivity of component fabrication at each station. Another of the Research Chair’s pillars is to improve productivity of the construction process through innovative manufacturing technologies. A project called Process Improvement of Semi-Automated Panelized Construction System has that in mind. A simulation model was developed for a multi-wall production line at a wall panel fabrication plant and an optimization model was developed to find the best possible wall production sequence to maximize productivity. 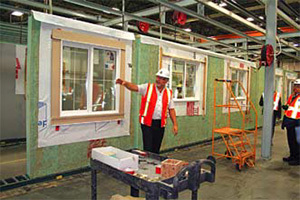 A time study was carried out for each station in the wall production line to develop a task-time formula to calculate the processing time for each station. “Recent findings of this research project compare simulation results with actual production to show that productivity can be improved by up to 10 per cent by optimizing the wall panel sequence,” says Dr. Al-Hussein. Constructing building components indoors, then assembling an entire package on site, saves considerable time and reduces on-site waste. Both private woodlot owners and foresters working on afforested land now have a template they can follow for developing forest blocks with both hardwood and softwood components. This is through the work that the Canadian Wood Fibre Centre (CWFC) is doing through its Short-rotation Wood Crops systems development and national network of technical development sites. The CWFC is demonstrating best management practices for afforestation plantation sites, with the idea of showing potential outcomes that result in hardwood and softwood fibre production that can be applied along a number of value streams—and not only provide economic value, but also an environmental dividend. On plantation sites, the CWFC recommends and is demonstrating crops of very fast growing hybrid poplar, or hybrid aspen, or aspen under intensive management regimes, with a 15 to 20 year rotation, and simultaneously planting a tolerant softwood in the understorey, the options being white spruce, black spruce, or white pine. For natural sites, CWFC recommends aspen as the hardwood crop under intensive management with white spruce in the understorey. Derek Sidders, Regional Co-ordinator and Program Manager for the CWFC, says this is a “perfect opportunity” for both establishing afforestation plantations or reforestation of natural forest management stands. This is particularly so along the forest fringe to not only produce crops with multiple economic value, but also to buffer the impact of climate change on the transition zone between agriculture and the boreal plains or boreal forest belt. Besides creating a transition zone buffer, this management regime also has other environmental benefits, such as creating fuel for potential bioenergy use as an alternative to fossil fuels, carbon capture from the atmosphere, reducing the risk of insect infestation because of multiple species planted within the same management block, and also reducing the potential forest fire risk. Habitat biodiversity is also a benefit from mixes of this nature. Mixed-wood afforested sites offer both economic and environmental dividends. 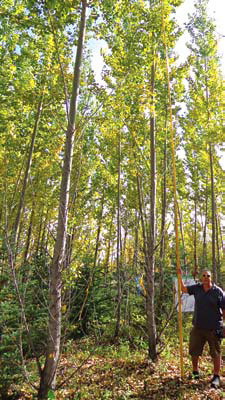 Fast growing hybrid poplar (above) will dominate a mixed-wood afforested site and can be harvested before the white spruce understorey becomes dominant, thus creating two valuable crops from the same site. Delivered wood fibre typically represents between 50 to 60 percent of production costs at most Canadian softwood sawmills, and between 25 to 40 per cent at pulp and paper mills. Any improvement in the highly capital intensive forest-to-mills supply chain will increase the competitiveness of traditional industries while supporting the emerging bioeconomy. Supporting the sector in this endeavor, FPInnovations has developed an integrated monitoring platform that aims at optimizing harvesting and transportation operations. Part of a set of tools called FPSuite, FPDat is a rugged on-board computer for heavy machinery that collects data concerning equipment performance and productivity with potential applications in forest, mining or construction operations. FPDat provides an advanced GPS navigation system and gathers data to keep operators and managers informed in real-time through FPTrack, a data management website, about utilization, fuel consumption, treated areas, GPS track logs, productivity and the causes of downtime. Testimonials from FPDat users report efficiency improvements ranging between 5 to 10 per cent. For typical forest machines, such as feller-bunchers, this can represent savings of up to $0.75 to $0.90 per m³. The FPDat/FPTrack platform has no equivalent in the market. Companies only interested in specific features, such as navigation, will indeed find cheaper systems, but none that automatically communicates integrated spatial and production data with the manager’s office and support the creation of customized reports. One of the barriers to the widespread implementation of FPDat lies perhaps in the wide variety of needs within the logging industry. Nonetheless, more than 300 FPDat units are already in use across Canada and as additional modules are being developed, such as the Transport and the Grader modules, and interest in the system is steadily growing. The estimated demand within Canada for FPDat is between 1,000 and 1,500 systems with an additional 2,500 to 5,000 units for the Transport Module. It is not unreasonable to think sales and monthly service revenues could exceed $6 million. For more information, please contact Jean-François Gingras at jean-francois.gingras@fpinnovations.ca or 514-782-4543. FPInnovations’ ForestPlan software has the potential to increase profit margins by as much as 15 per cent for the forest products industry. In other industries such as health care, manufacturing and transportation, similar optimization and company-wide planning software is already being used, according to Joel Mortyn, FPInnovations’ Modeling and Optimization Senior Scientist. But the forest products industry, particularly in Canada, has been slow to apply optimization techniques at the corporate planning level. “Canada’s forest products industry is very diverse compared with managed forests elsewhere in the world and companies have been hesitant to adopt this type of software as they are skeptical that it can account for all of the variability,” said Mortyn. “However, this thinking is wrong. The variability creates more opportunities to find value gains”. 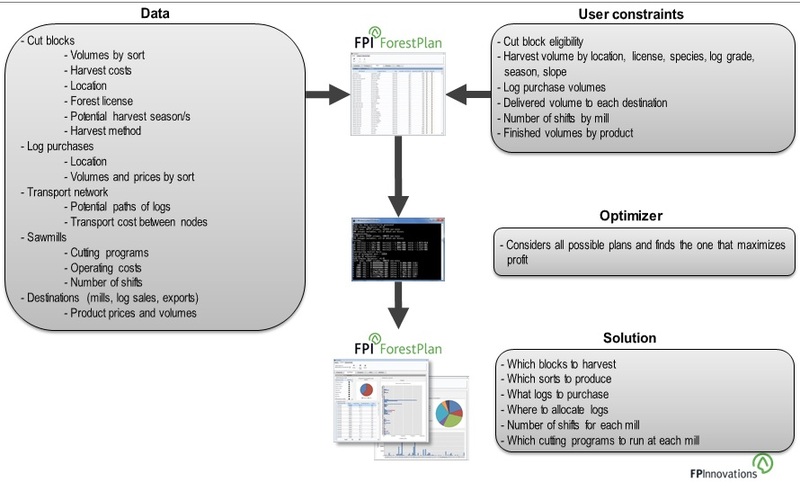 A joint project of FPInnovations and Dalhousie University, the ForestPlan software is a mathematical planning model that accounts for harvest, log allocation, transportation, manufacturing and sales data when determining the most efficient and profitable operating plan for the business. The system uses this information, along with any operational constraints input by the user, to generate a value-chain optimization plan, exportable into Excel or Access. The plan identifies which cut blocks to harvest, which sorts to produce at each cut block, where to allocate log sorts, what cutting programs to run at each mill and the number of shifts to run at each mill. Once an optimal plan is found, users can quickly run additional “what-if” scenarios to determine the impact of adding or removing constraints—more manufacturing capacity, less demand for certain products, changing market prices, and harvesting a different log profile. “It is this ability to measure the value implications of decisions at the company-wide level that makes ForestPlan an incredibly valuable decision support system,” Mortyn said. 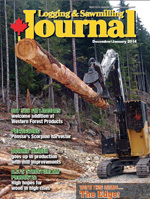 FPInnovations has successfully conducted two ForestPlan trials with B.C.-based forest products companies. To find out more about ForestPlan or learn about contract opportunities, contact Joel Mortyn at joel.mortyn@fpinnovations.ca or 604-222-5604. Recovering the highest possible value from each tree cut is an ongoing goal of FPInnovations’ harvesting research program. Mechanized processing is one of the most important harvesting phases where value can be recovered or lost. Recent work identified how processing errors are causing value loss, and made recommendations on how to reduce these losses. 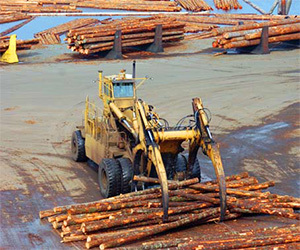 Losses of $1.67/m3 due to log processing errors were identified in a study of logs delivered to a dryland sort at one coastal British Columbia operation. This is almost two per cent of the log value that is available for recovery. The reasons for the value loss were categorized and quantified in the study. Cutting diameters that were too small and missing defects were the largest contributors. Other minor culprits included length errors, sorting errors, missing high quality logs, and mechanical damage. A survey of the processor fleet included length and diameter measuring accuracy tests and showed opportunities for improvement. The study of logs delivered at the dryland sort showed that remanufacturing of logs at the sort can recover $1.39/m3 of lost value. A total of seven recommendations were made to help operators improve value recovery at the processor. These included better calibration of machines, more education for operators, development of easy reference guides, and improvements in delimbing knife inspection and sharpening schedules. Consideration of advanced software features was also recommended. 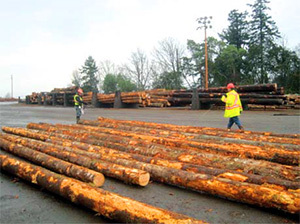 For more information on recovering value loss from merchandized log processing, contact Brian Boswell at brian.boswell@fpinnovations.ca or 604-222-5734. 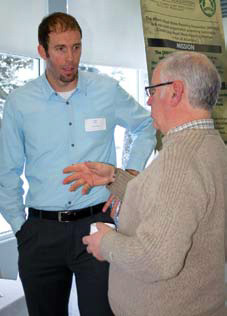 The recent Using Biomass Now seminar hosted in Edmonton by the Agroforestry & Woodlot Extension Society (AWES) attracted a number of municipal government leaders and administrators with an interest in smaller scale, community-type heating and power generation opportunities using biomass. Fink Machine Inc. representative Stephen Bearrs meets with an AWES seminar attendee to discuss the company’s Viessmann-KOB bioenergy system. The town has a ready source of woody biomass, with a large local sawmill still disposing of its residues in a beehive burner. Wiley says Town Council and local residents want to change that, with a community heat and power system that would provide heat to three schools, the hospital, arena, swimming pool, and all municipal buildings. Jeff Renton, AWES project manager, says Wiley is an example of exactly the type of attendee they were hoping to attract to the seminar. “We wanted to reach potential users of the technology and demonstrate that the technology and support exists to develop the supply chain required to feed biomass operations,” he says. Speakers at the AWES seminar focused on two critical issues when it comes to smaller scale biomass-fuel heat and power projects: finding a secure, economical source of biomass and selecting the right biomass-fueled system. “If you look around the world, a lot of the failures of bioenergy projects have been because they haven’t paid enough attention to the fibre supply, both in terms of cost and volume,” said Mark Ryan, Research Manager at FPInnovations, in his presentation titled, Biomass Supply for Smaller Scale Bioenergy Systems. While it is possible that a community could be lucky enough to acquire enough volume from one or two woody biomass sources, he added that it is more likely that planners will have to tap into multiple sources, as well as various types of biomass such as sawmill residues, forest harvesting residues, clean and combustible municipal wood waste, non-utilized timber like mountain pine beetle-killed wood, and fire smart forest residues. He emphasized that there is no such thing as “free” wood; despite the potential for low cost sources, there are still costs to acquire, process, and store that wood prior to use. Also, it is likely that planners will be limited to sources within about a 100 to 200 kilometre radius from the boiler for its use to be economical. Two other important issues to consider are assessing the quality of the wood source as a fuel and assessing its moisture content, as many boilers have restrictions on the fuel’s moisture content to function properly. In terms of finding biomass sources, Bruce Duggan, Director of the Buller Centre for Business at Providence College in Manitoba, presented and demonstrated the value of an online biomass brokerage site they have developed. With the brokerage site, individuals and communities can investigate a wide variety of potential sources of biomass within their geographic area. It can be accessed on the Internet at http://www.bullercentre.com/biomass-brokerage/. The college has a biomass-fueled district heating system for three of its buildings, displacing about 80 per cent of its natural gas consumption. “Now that we have a biomass system, the challenge is to find a consistent, usable source of fuel,” Duggan said. As part of its own efforts, the college decided to try to help others find a consistent source with the development of its online Biomass Brokerage. Once a consistent biomass source has been identified, the next step is to select the right small scale bioenergy technology. Stephen Bearss, renewable energy representative with Fink Machine Inc, and marketer of the Viessmann-KOB bioenergy system, provided seminar attendees with a snapshot of the variety of bioenergy systems the company has already installed, demonstrating that smaller scale technology is proven and is being applied successfully throughout Canada. Bearss says the company recently completed its 60th installation, providing a biomass-based heating system to a secondary school on Vancouver Island. “I just want to assure those who have to sign on the dotted line for these kinds of systems that they are common, they are abundant, and if you can align yourselves with a wood fuel supplier, they are very trustworthy systems,” he said. For more information about topics covered at the AWES seminar, contact Folkert Hoekstra at (587) 436-1646 or f.hoekstra@awes-ab.ca, or Jeff Renton at (780) 643-6732 or j.renton@awes-ab.ca.